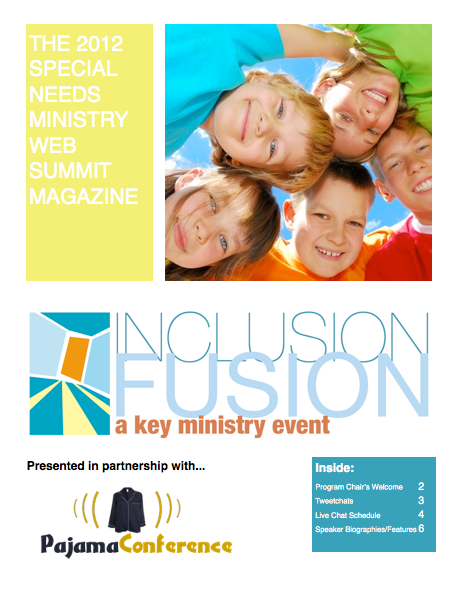 Today we’re sharing our second weekly installment from our Inclusion Fusion disability ministry training library. This week, we’re sharing a presentation from last year’s Web Summit from Jolene Philo on the topic of PTSD and kids with special needs. Jolene is the author of two books for parents of children with special needs, A Different Dream for My Child and Different Dream Parenting. She is the parent of a child with special needs who developed PTSD due to early, frequent and invasive medical treatment. She also taught traumatized students at a correctional facility and collaborated with special education teachers to mainstream traumatized children in her classroom during public school teaching career. She’s conducted extensive interviews with trauma experts and is currently working on a book about PTSD in children. More information about PTSD and kids can be found at her website, http://www.DifferentDream.com. Post-Traumatic Stress Disorder (PTSD) is a mental disorder most commonly associated with combat veterans that also affects children with special needs. Jolene will discuss six common myths and misconceptions about PTSD in children. This entry was posted in Inclusion Fusion, Key Ministry, PTSD, Resources, Training Events and tagged church, Disability Ministry, Inclusion, Inclusion Fusion, Jolene Philo, Key Ministry, PTSD, special needs. Bookmark the permalink.